This is one of two Haiku Revieus that'll go up this week. I'm playing catch up from being sick! POSSIBLE SPOILERS AHEAD. It took me a while to get to this movie, but when I did, I quite enjoyed it; I've long been a fan of Disney, especially their "princess movies." This was no exception. Merida is a strong female character, which is always good to see, and it was set in Scotland—the accents were super fun to listen to and the scenery was lovely (even if it was animated). One of my favorite parts, however, was when the three little brothers turned into cubs. Good grief, they were almost too adorable. And Merida's hair! I want. One of my only complaints was the lack of distinct villain. I suppose I'm just used to princess movies with evil witches/stepmothers/etc. 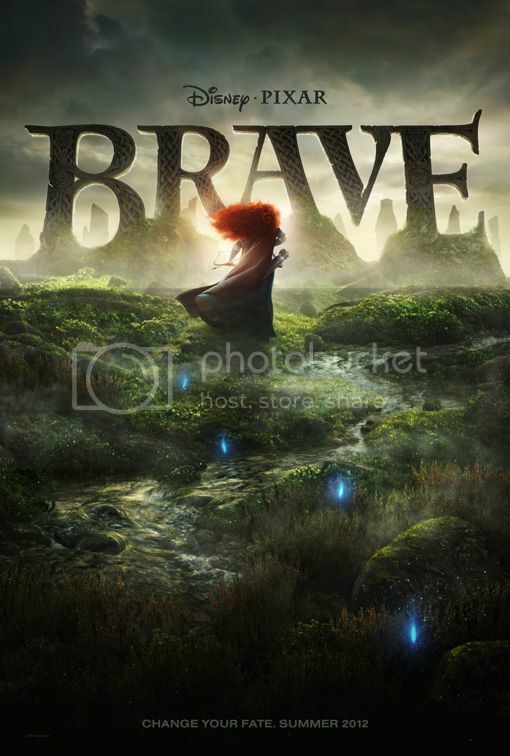 There's a witch in Brave, of course, but Merida's not really battling her; she's battling her own poor decisions. But, as I'm sure we all know, each of us can be our own worst enemy. 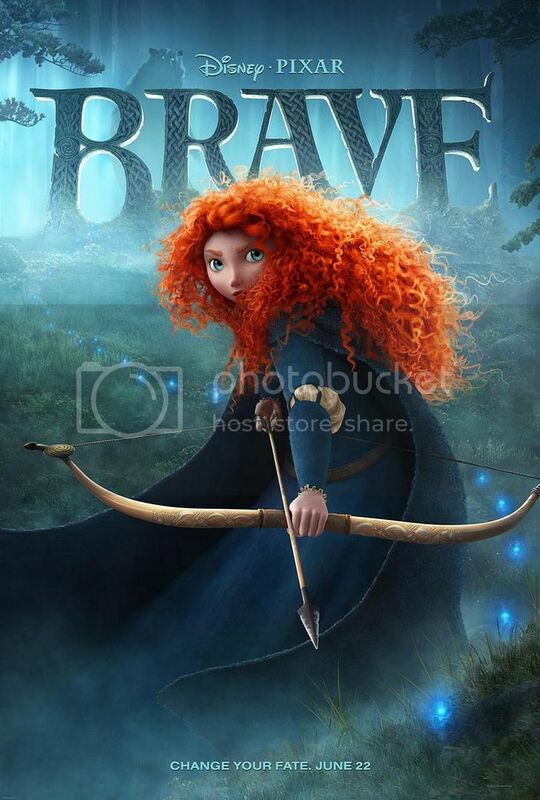 It definitely worked in this movie, particularly because of Merida's age. Teenagedom can be so hard and so full of rash choices. I definitely look forward to sharing this movie with my daughter (if I have one) in the future. The lack of villain was one of the things I liked most about this movie. That and the archery. I am a firm believer that there are very few people out there that are actively evil. Most of our problems are just situations we've managed to stumble our way into. You know, that's a really good point. I should have maybe said that it surprised me rather than bothered me, because it didn't—not really. I agree with you, it was definitely a much more reality-based film than many others. Aww, adorable. I'm glad you both enjoyed it. I think it's a really good mother-daughter movie.